Zero Surge , makers of power surge protection technologies, is to introduce what it calls a "revolutionary" range of power protection devices. 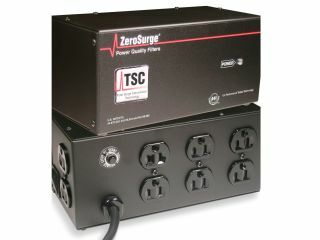 Fitted with TSC (Total Surge Cancellation), the company claims the devices "filter off the most dangerous surge frequencies then cancels the remaining residual surge voltage". The devices are aimed at those who wish to protect high-end or high-performance consumer electronics, such as the home cinema enthusiast, as well as businesses.